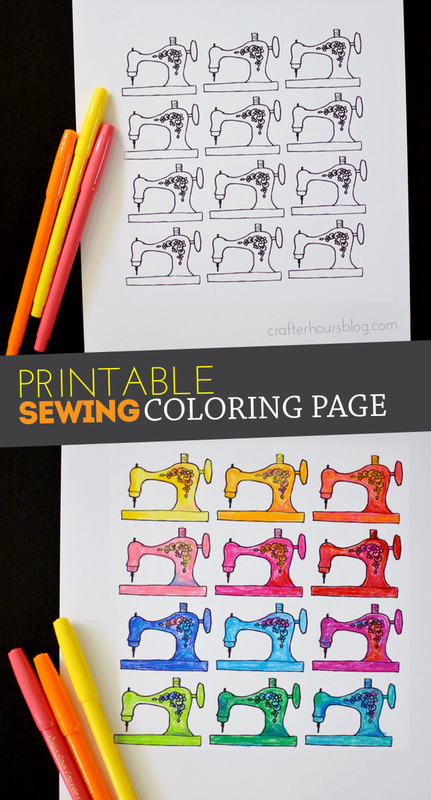 Sewing Machine Coloring Page - Free Printable! After creating the first sewing coloring page printable, I decided I also wanted to create another option. 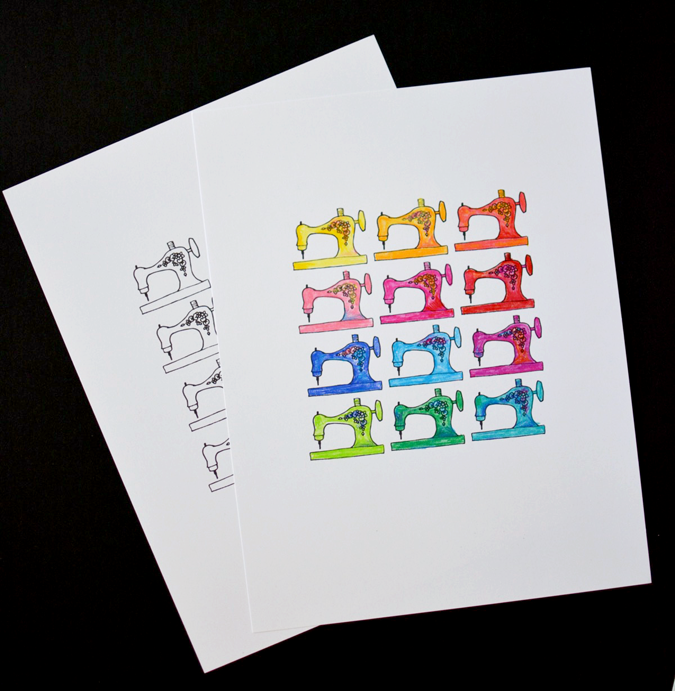 Neat little rows of sewing machines, ready to color to match your space! 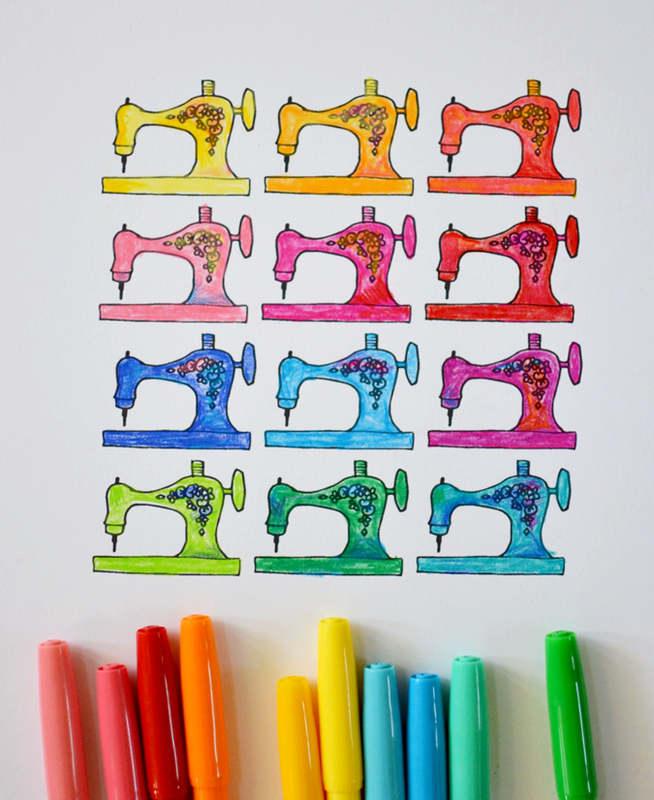 Each little machine has tiny details you can color in if you want to, or make the entire thing one fun solid color. I decided to do a rainbow look (I’m a little predictable like that, huh? ), but the possibilities are endless! Make it your own! Download your copy here. Pin this to share it and to save it for later! Thank you for the cute sewing coloring pages. That is just cute as all heck! Can I print it to fabric and stick it on a tshirt?